When the curtain opened, one watched with amusement the mouse crossing the stage in an endearing gait, in swaras of Arabhi. Followed the bull and the tiger and the story unfolded with appearance of Ganapati, in multi armed form, his elephant ears waving, hand turning into trunk and the music enlightening his praise from Ganapati taalam. 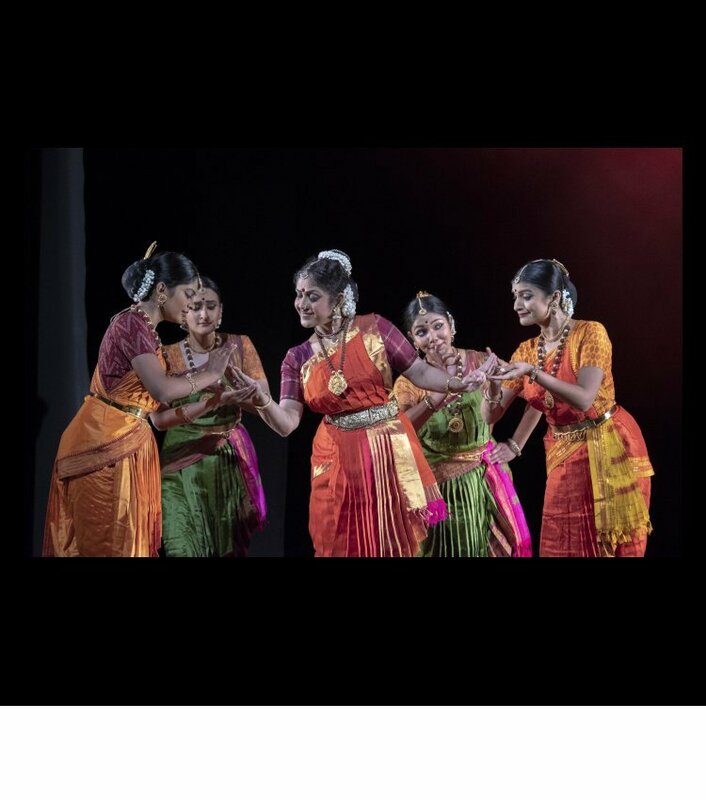 And to the strains of Shanmukhapriya, six dancers as peacock entered from two ends of the stage, to merge and flow into a composite Misra Alarippu, to the reverberating Tirupugazh. The entry of Nandi and tiger and Skanda and Ganapati set the story, as children asked to know about the story of the gods. An exquisite shringara scene between Shiva and Parvati, describing their saguna rupa is woven imaginatively. Shankaracharya’s Ardhanari stotram opens with Vishala nilotpala lochana, followed by Champeya gouradhra sharira and ending in Jagat janani and Jagadeka Pitru, the two children bow to their parents doing sashtanga danadavat pranam. And with a kriti of Harikesanallur Muthiah Bhagavathar, Ganesha Skanda Janani eulogises Parvati as the mother of Ganesha and Skanda and all three dance together with joy. The children are told who their mother is. The dhyana shloka from Lalita sahsranamam offered the dancer to describe her glory. The sequence of depicting the Chakras with the projection of the graphic was eloquent. The presentation of the elements of earth, water, fire, air, space and mind to the accompaniment of shloka from Shankara's Saundaryalahari Mahim muladhare, and depiction of Kundalini sounds of Om Aim, Hrim Shrim ending in Sri Chakra with Lalita in the middle complimented the exquisite graphic of Sri Chakra. Culled from various literary sources the dance of Shiva as Nataraja from Nataraja Dasakam with lilting shloka Kanakasabhapate kanchana vigraha, Patanajali’s stotra, Muthu Tandavar’s Aadikondar kriti, Parvati’s description of lifted leg of Lord Shiva, the popular Papanasam Sivan’s Idadhu padam thooki, interspersed with Andavan Pichchai which describes how Parvati fell in love with the Lord and in succession followed Papanasam Sivan’s Nataraja Deva, an excerpt from varnam in Nattakuranji, Dayanand Saraswati’s Bho Shambho Shiva Shambho swaymbho which offered scope to the male dancer Mithun Shyam to display his vigour and energy that further reverberated through the auditorium into Ravana’s Jatatavi galajala captivating the audience. Not only did Shiva dance but also the entire universe. With finale that showed happy family together, when Parvati sings lullaby to Ganesha and Skanda, Gajamukha lali Shanmukha lali and both lying in lap of mother, Lord Shiva in the back, with projection of a painting inspired from a miniature painting of the divine, the tale concluded. From the word go it was a nonstop 87 minutes, racy production which kept the audience in thrall. 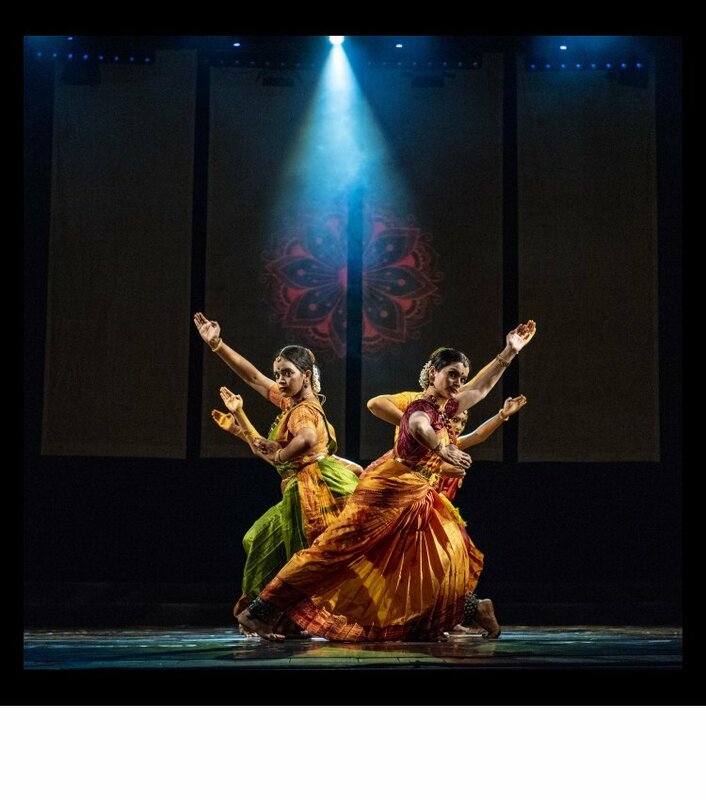 One could see the determination on Ananda’s part to culminate her artistic gifts with a riveting production for the yearlong celebrations of 40 years of Shankarananda Kalakshetra. 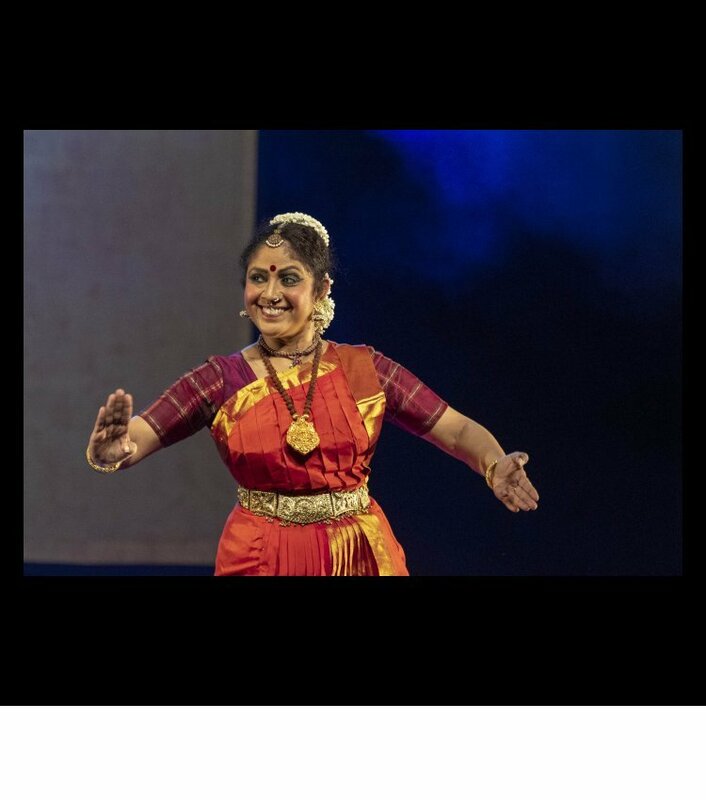 Having received training at Kalakshetra under the watchful guidance of Rukmini Devi and exposure to the dance-dramas there, it was obvious that receptive as Ananda has been, she has imbibed the best influences with suggestive touch in her production. Take for instance, the preparations for marriage of Lord Shiva and Parvati in Kalyani raga. 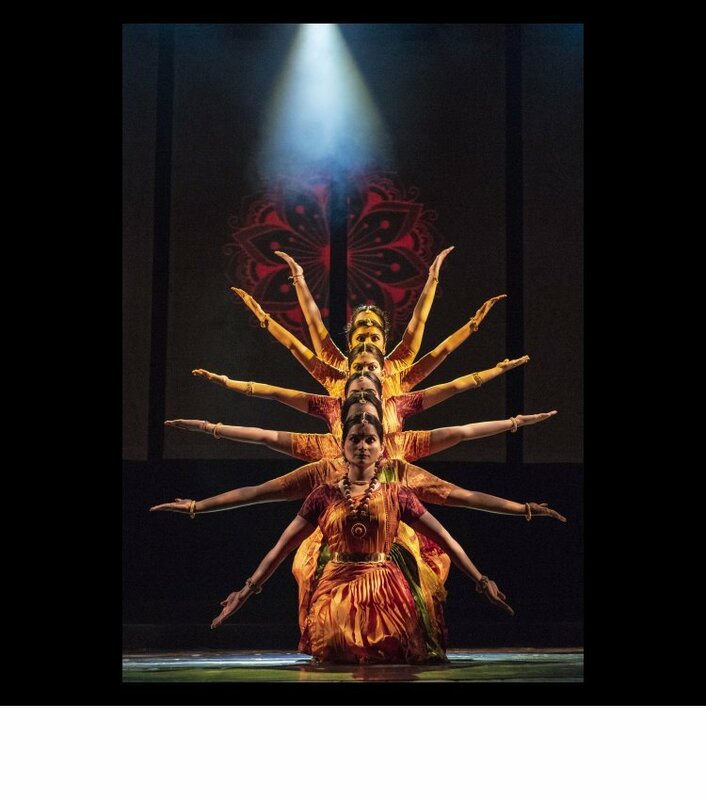 The very entry of Parvati under a canopy held by four dancers under which in resplendent costumes Parvati enters, reminds one of Kalakshetra productions. Similarly enters Lord Shiva under royal umbrella. The visuals were impressive. The wedding scene with sound of nadaswaram, rituals and the garlanding and couple sitting on a swing with tunes of Lali songs create an auspicious atmosphere. Even when the vahanas and other devotees fall at the feet of the lord and the goddess, they all fall at their feet in sashtanga dandavata pranam position, a typical mode, seen in Kalakshetra productions and looked absolutely proper. The visuals of Himalaya with recitation of shlokas from Kumarasambhava ‘Asti uttrasyam dishi devatatma Himalaya namo Nagadhraja...’ and the stanzas by Kalidasa resonated suggesting the height of Himalaya as it were the measuring rod of the earth! The shlokas of Vagarthau iva sampruktau Parvati Parmeshwarau set the mood of very rich poetry. The selection was done with sensitivity. The abodes of the gods are described by Kalidasa in arresting similes. The vahanas are friendly. They are told about the divinities of the gods, their deeds, their greatness. And when they watch with wonder the dance of Shiva on the Himalayas, they are spellbound. As a choreographer Ananda places the dance at the right moment. Young and handsome Mithun Shyam, disciple of late Guru Padmini Ramachandran from Bangalore, in role of Shiva unleashes breathtaking energy. Dressed in simple costumes, he shows the jata (hair) flying and in which enveloping the proud Ganga, serpents as his decoration, his third eye, forehead besmeared with ashes, riding over bull and epitome of energy, he casts a spell on not only the devotees but also the audience. There is suspension of disbelief and each tableau of dancers evokes familiar images of the divine pair. The sons of Lord Shiva and Parvati are mesmerized watching the dance of Shiva. Shankaracharya’s Ardhanarishwara stotram finds felicitous expression in dance of Shiva, where the beauty of Parvati in lasya, delicate/feminine mode is described wearing Mandaramala garland of flowers, whereas Lord Shiva has a necklace of skulls, Parvati has adornments in her hair, but Shiva’s hair is wild and flying all over. Their beings half male and half female, Purusha and Prakriti united and giving image of Ardhanarishwara, leaves an indelible impression. The shared traditions of Shankaracharya’s stotra and other stotras were impressive. A clever ploy employed by the choreographer is desire of Parvati to watch her Lord’s dance. Describing the dance, Ananda as Parvati performs with abandon recreating dance of Shiva. 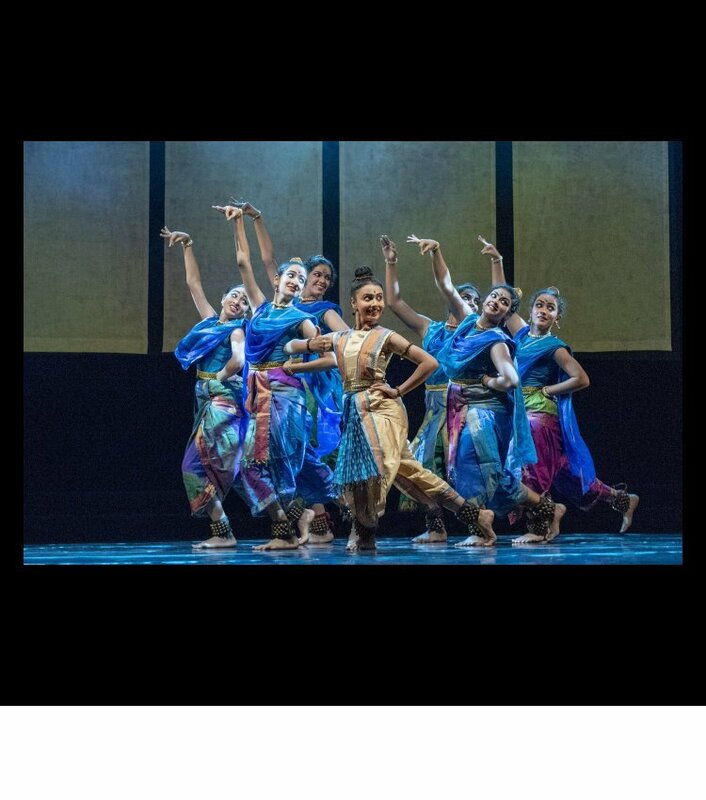 There are interludes where the female dancers join Shiva when he is performing and the choreography helps in furthering the narrative with females participating. The vahanas are told about the divinity of mother goddess and her image of Shakti full of energy, adorned with divine ornaments and also weapons with which she annihilates the demons. These ploys help the production to move forward. Describing the immeasurable form of Shiva as Akasha Lingam, between Lord Vishnu and Brahma a sense of rivalry takes place and they fight with each other to be first to measure the form of Lord Shiva. The duel between Vishnu and Brahma ends in futility. Shiva in form of Akasha Lingam is beyond measure. Light designer Gyandev with his sense of design attempted to show a strong beam of light from ceiling to the floor, with other lights distracting the image could only give an idea of Akasha Lingam. As a matter of fact, Ananda’s research extended to several sources, as mentioned above, ranging from Tirupugazh, Shankaracharya’s Ardhanari stotram, Soundaryalahari, Linga Puranam, Tevaram, Nataraja Stotram of Patanjali, Kriti by Harikesanallar Muthaiah Bhagavathar, Kriti by Muthu Tandavar, of Papanasam Sivam, of Andavan Pichai, of Swami Dayananda Saraswati, Shiva Tandava stotram, Nataraja Dasakam, Ganesha Swapan Geetham, of Madurai Muralidharan, and Railbandi Kavita Prasad. The English script and voice over was by none other than Ananda’s husband Jayant Dwarakanath. Sumptuous is the word. And set to music composition and vocal by Sathirau Venumadhav with jathi composition and nattuvangam by IV Renuka Prasad, mridangam by M. Yedukondalu, ghatam by T.P. Balasubramaniam, violin by K. Saikumar, veena by V.L. Narayana, flute by Uma Venkateswarulu, morsing, kanjeera and rhythms by Sridharacharya, keyboards by Guru Prasad and excellent recording by sound engineer Naga Vara Prakash and mastered at Mahagetha Studio, the teamwork spoke volumes. Suggested by that young ace light designer from Chandigarh, Gyandev, who has been handling lights for international productions of Apsara Arts Singapore and within India of productions of Malavika Sarukkai and Aditi Mangaldas, Ananda engaged digital design and animation by Gunjan Ashtaputre, who provided appropriate visuals projected on the backdrop on white screen enhancing the visual impact. 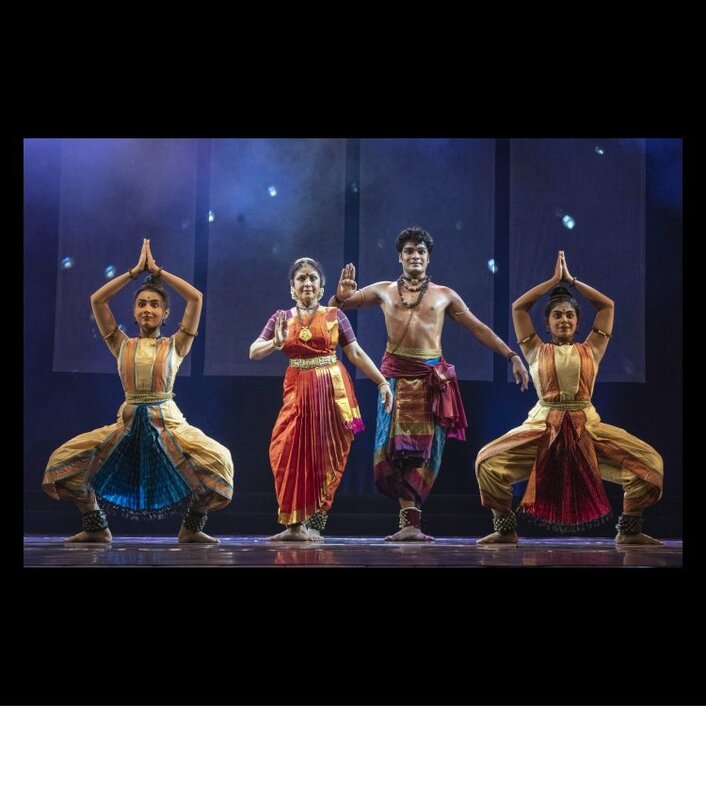 Gyandev had worked with digital design of amazing production Hanumana’s Ramayana produced by Apsara Arts at Singapore’s Esplanade at the Bay Theatre and it worked wonders for impact. 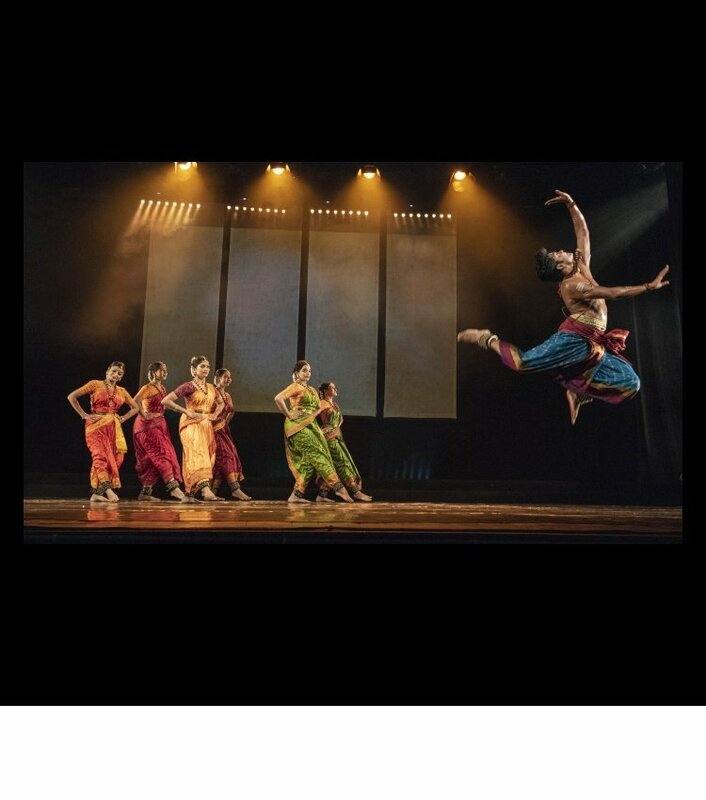 Dancers through movements and hastas creating marriage mandapa, decorating it with toranas, drawing kolams on the floor, lighting up lamps and on the screen they spring up coalescing with dance. What a visual treat it was! Light support by Y. Basavaraju and light and sound by Mowzz had professional perfection. 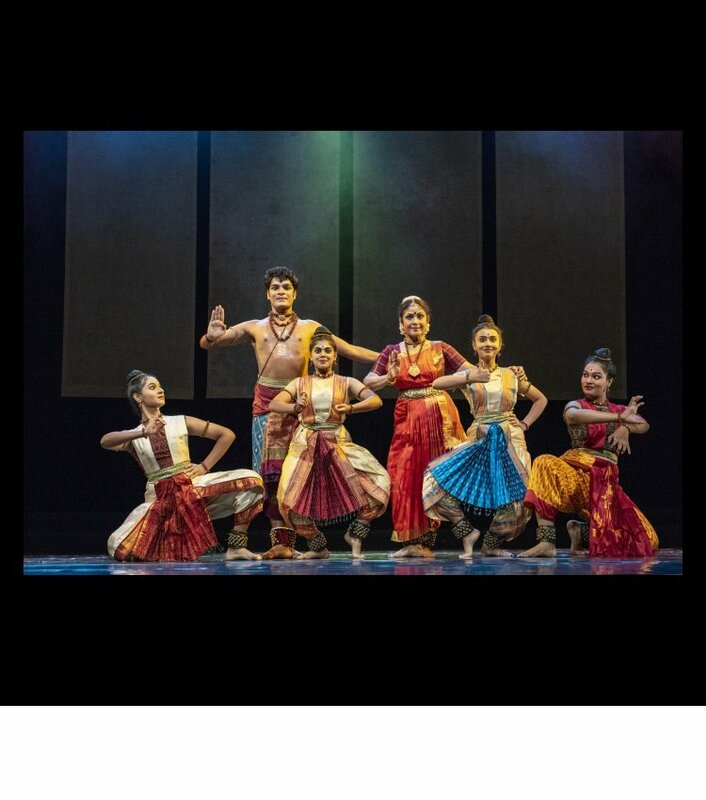 The attractive costumes were designed by Ganesh Nallari executed by B.Nagaiah and for jewellery and props credit was given to Deepa Krishnamachari, whereas creating exquisite makeup for not only vahanas but also the divinities, Ashok Pawar did the wonders. 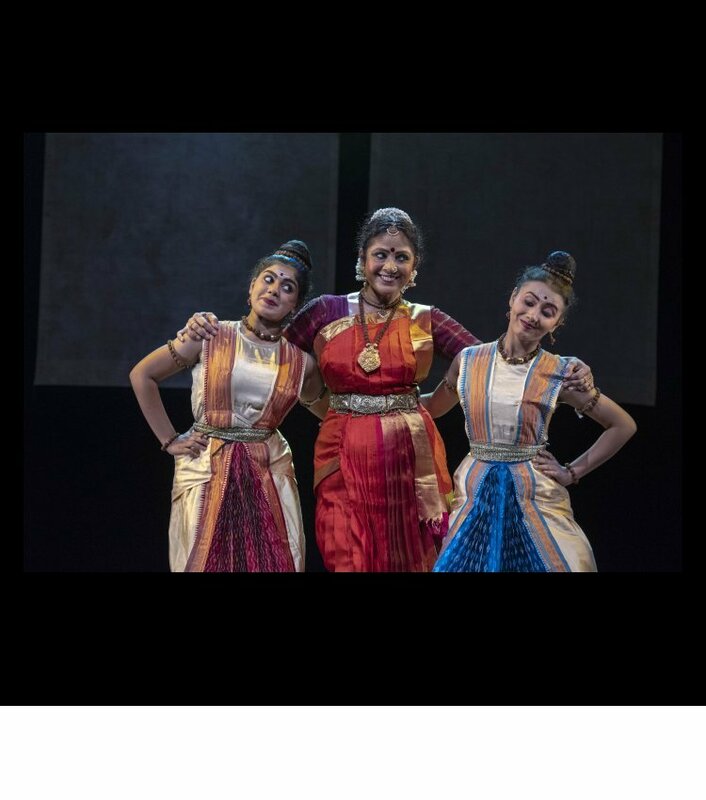 Ananda with her well trained dancers including Sneha Magapu, J Soundaryalahari, Aditi Rao, Chelna Galada, Srinidhi Narasimhan, Poojitha Namburi, Anusha Namburi, and several others had a competent cast. The male guest artists Mithun Shyam from Bangalore and Vijay Shekar and Surendran did their job well. 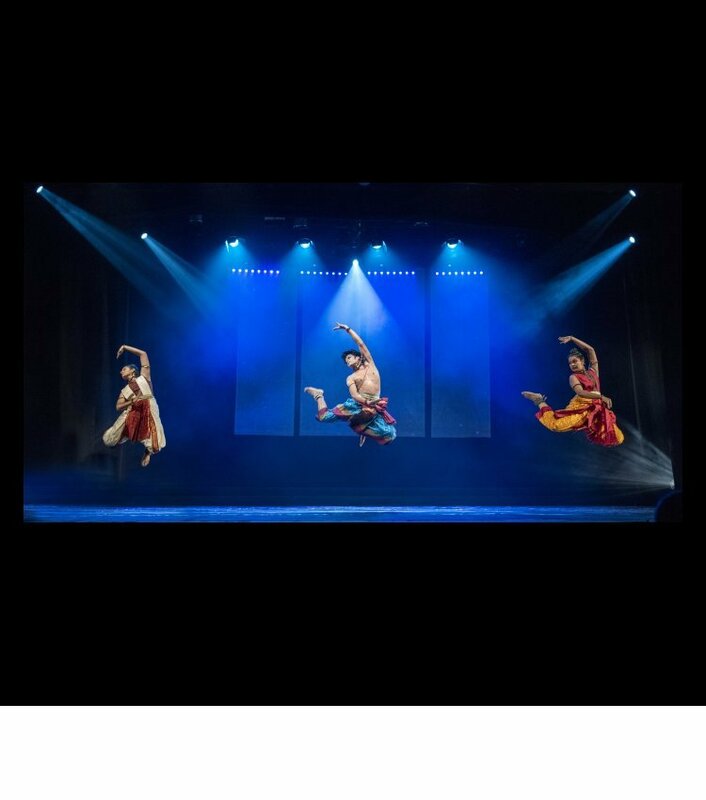 A production that is another feather in cap of Ananda deserves to be seen in other cities as its appeal is to not only connoisseurs but also to people who watch dance and in particular children.